A simple white tank can be stylish too. 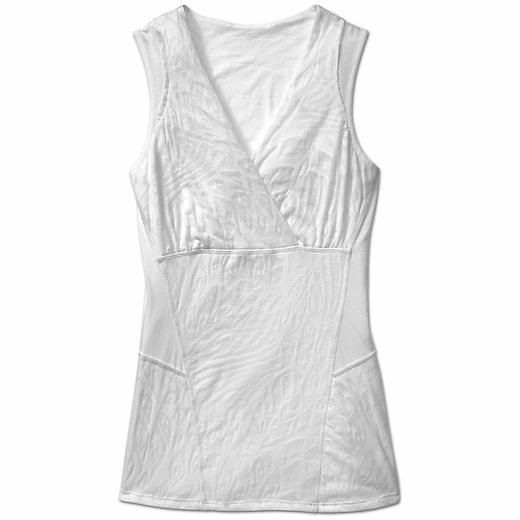 The new Burnout Beach Hike Tank by Athleta is one of those items you know you’ll use again and again. It’s breathable with moisture wicking, lightweight and soft, stretchy and comfortable, easy to care for, and has just enough styling with its faux-wrap front and faux racerback. This is probably something you’ll naturally come back to as a staple item for hikes or getaways.